As the whaling era faded and sugar dominated Lahaina, more and more native traditions retreated. 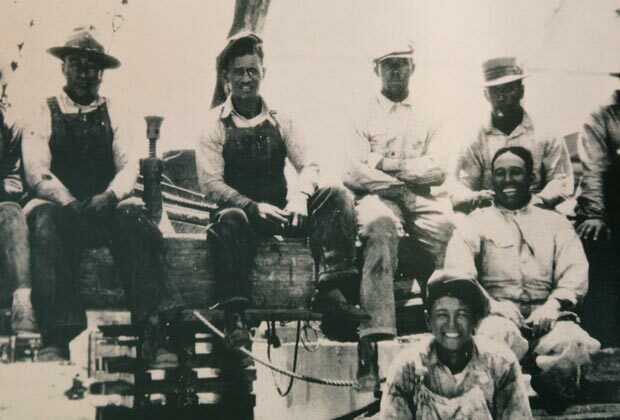 In 1860, the plantation era was ushered in and remained active in Lahaina until 1999. This time period coincided with the founding and closing of the Pioneer Mill Co., one of Hawai‘i’s first sugar mills. Sugar plantation operations were the impetus for laborers to be imported from China, Japan, the Philippines, Portugal, Korea and Puerto Rico to harvest crops in West Maui. The company built self-sustaining camps with housing, a post office, general store and recreational facilities to provide for the workers’ families. 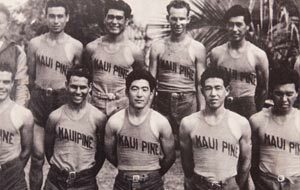 These camps thrived in Lahaina for over 100 years. When pineapple cultivation began after the turn of the 20th century at Honolua Ranch, more plantation camps were established throughout West Maui. 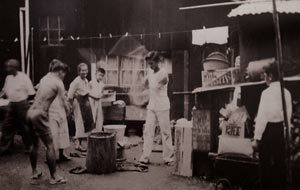 In the 1920s, Baldwin Packers opened a pineapple cannery in Lahaina, which remained one of the town’s largest employers until the early 1960s. Gradually, as laborers saved their money to leave the fields, fish markets, mom-and- pop shops and restaurants opened along Front Street. Pioneer Hotel, which was the first and only hotel in Lahaina from 1901 to 1963, set up a movie theater. Life was peaceful and work was hard, but everyone knew each other and neighbors took care of one another. The Plantation Museum celebrates the family lives and times of West Maui’s plantation era. 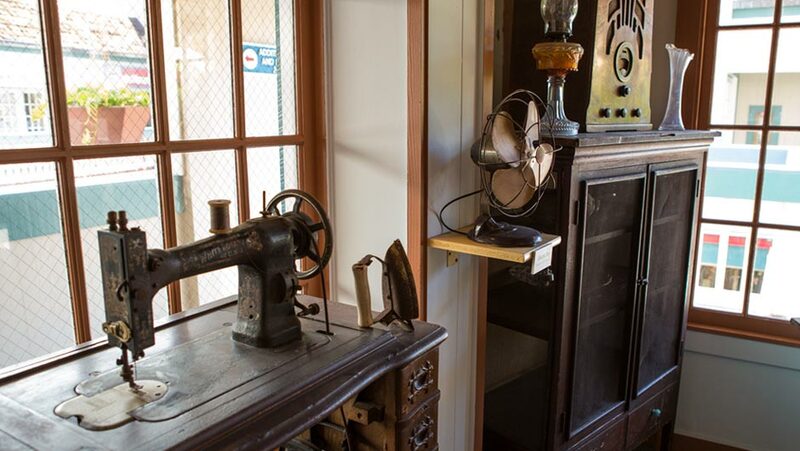 This expanded storefront space on the upper level of The Wharf Cinema Center at 658 Front Street features attractive displays of heirlooms, appliances, tools and sports gear from plantation camps and family homes in Lahaina as well as a poignant video, “The Last Harvest” about the closure of Pioneer Mill Co. 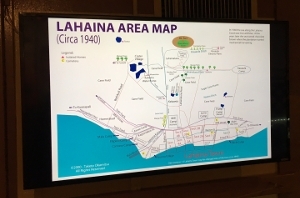 The updated exhibit includes historic photos and displays depicting the pineapple and sugar plantation lifestyle; large interpretive panels describing the multi-ethnic cultural groups who lived in the plantation camps, and an electronic display of West Maui Plantation Camp Maps on a flatscreen. Created from the popularity of Lahaina’s Plantation Days event and updated with support from the Maui community, the Plantation Museum is open daily from 9 am to 6 pm. Admission is free. Click here to view all the West Maui Plantation Camp Maps in downloadable files.